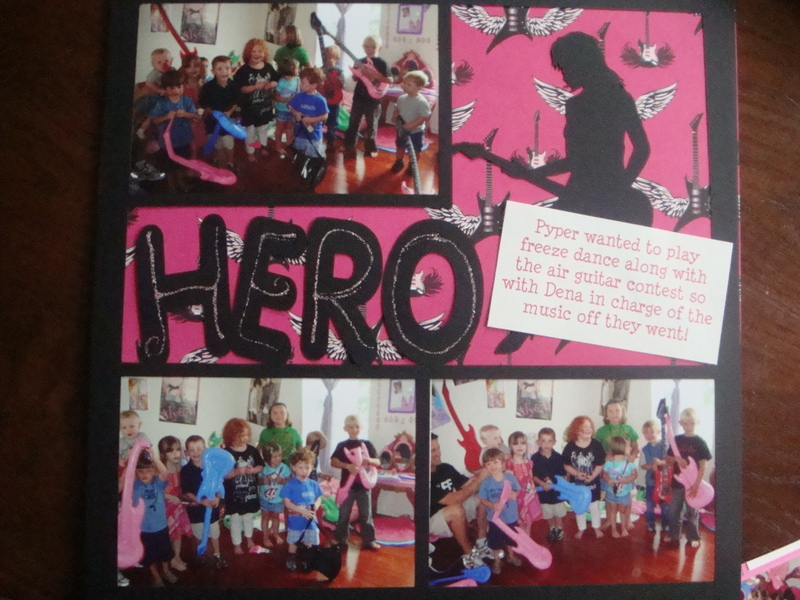 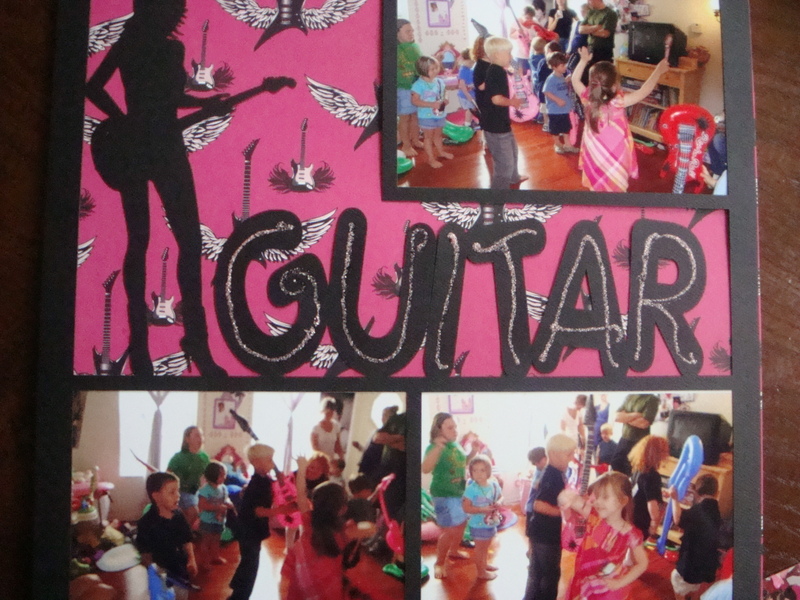 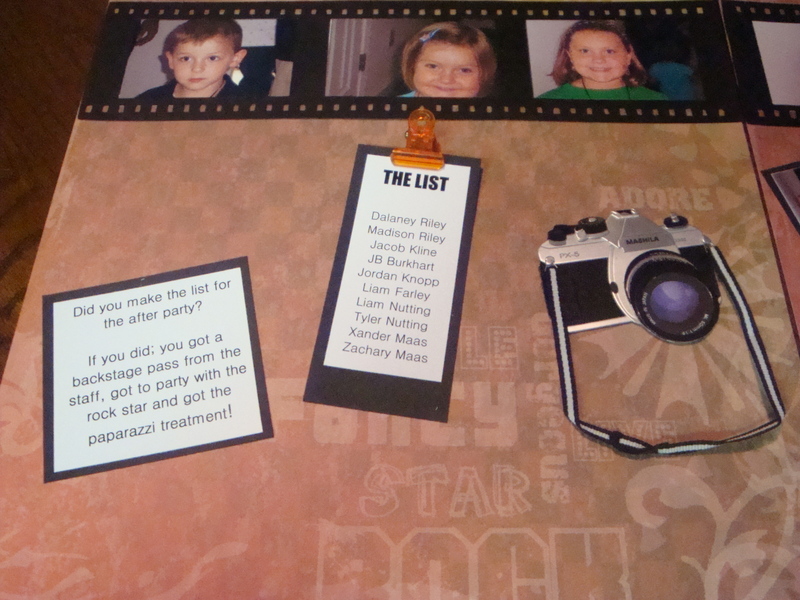 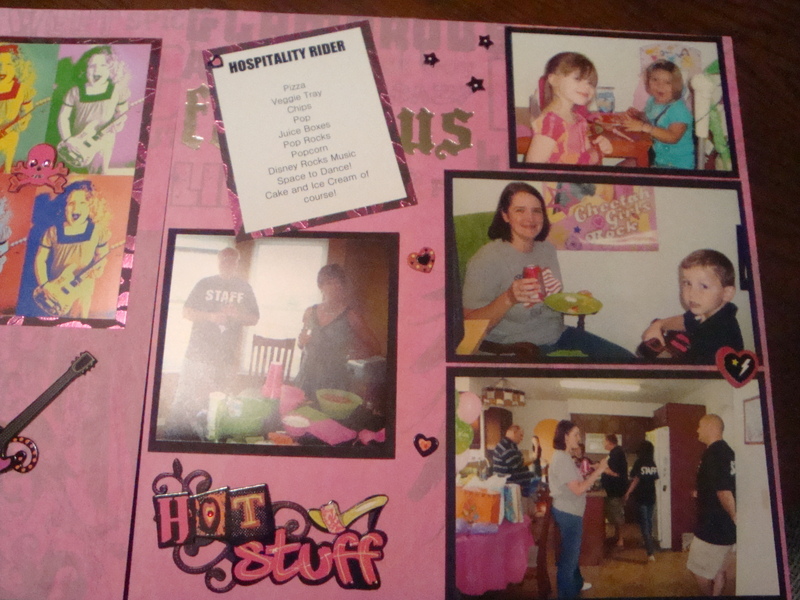 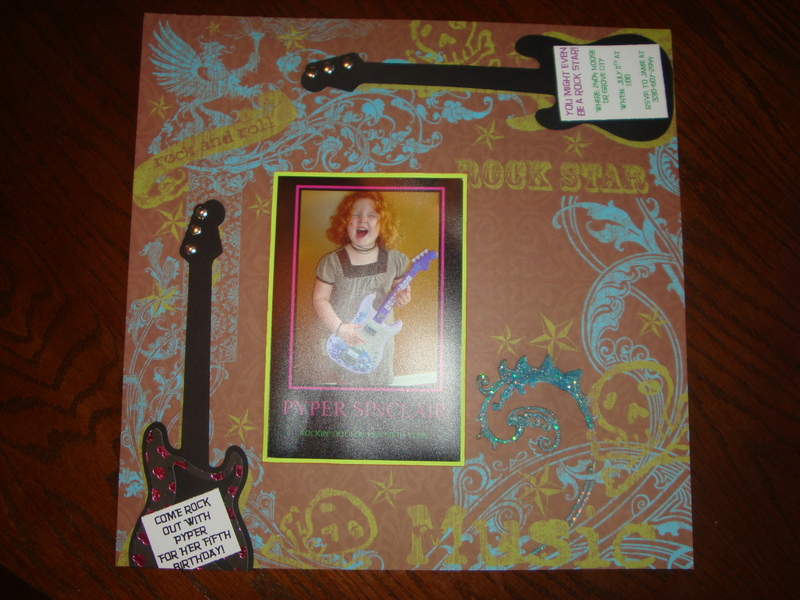 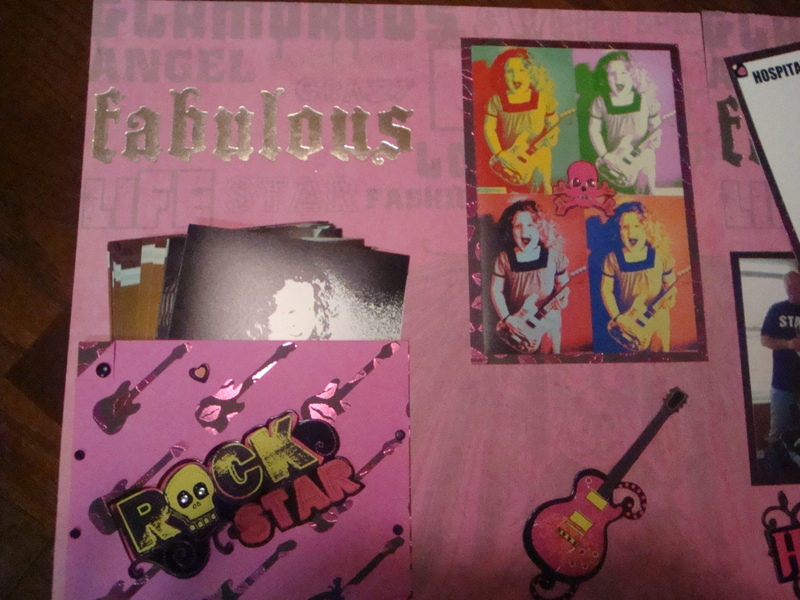 Yes it took a year to get it done….not really only a little over a week but a year later here are some of the pages from Pyper’s 5th Rock Star B-day party last summer. 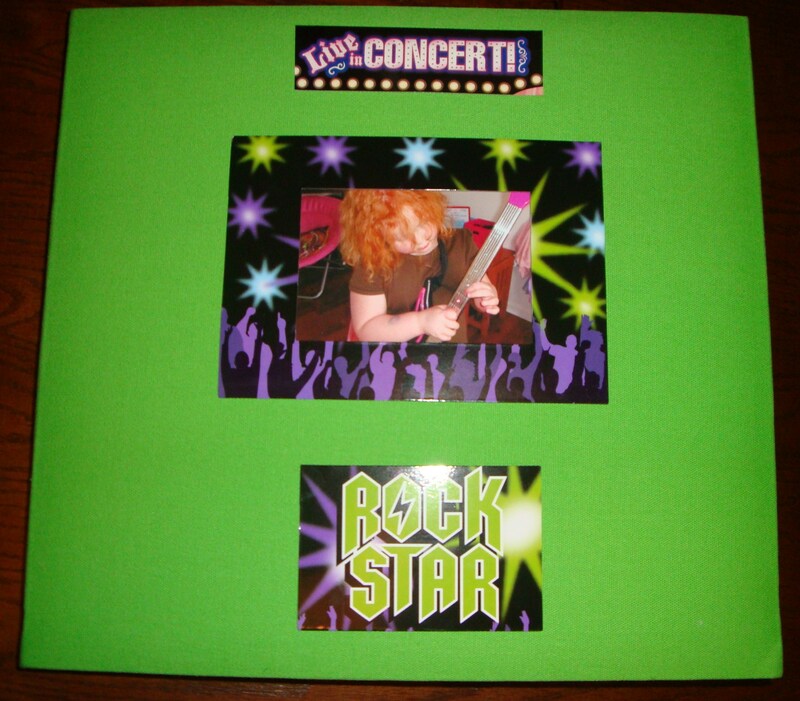 Enjoy I hope you get some great ideas! 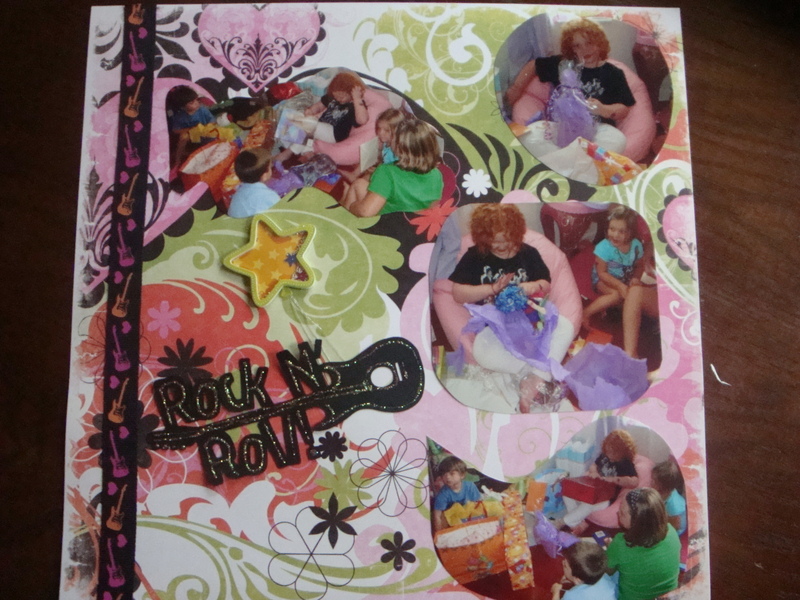 I couldn’t find a book I liked for this one so we decorated the outside cover ourselves! 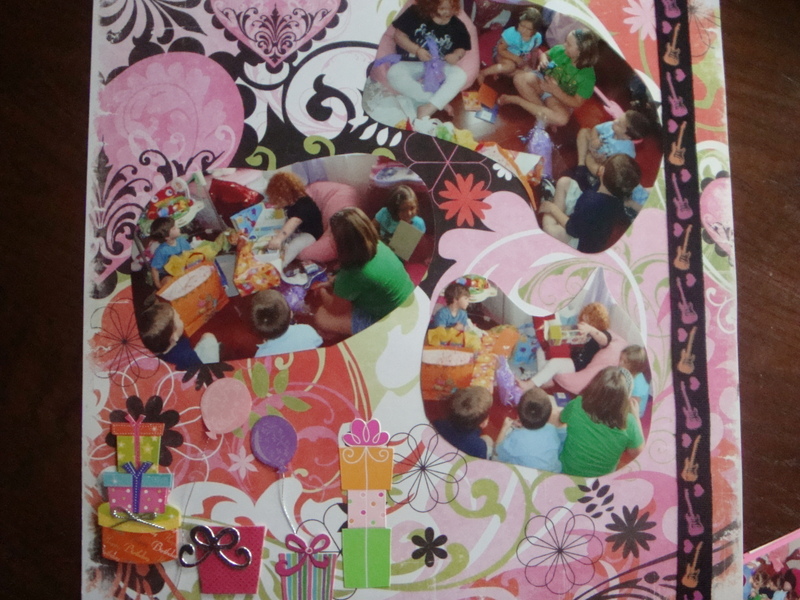 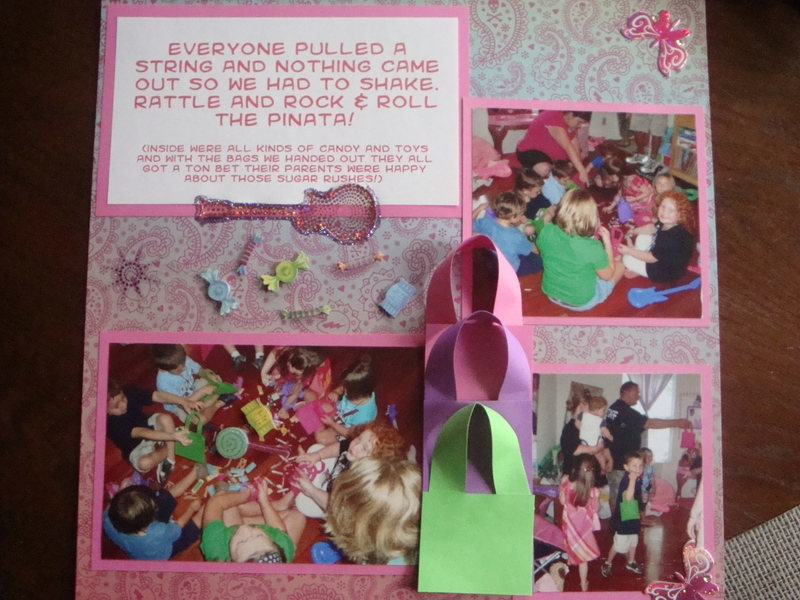 I loved making her invitation this was the most fun party we have ever done…..I can;t wait until next year since she wanted pinkalicious this year next year she wants to do it here again….so far any way ! 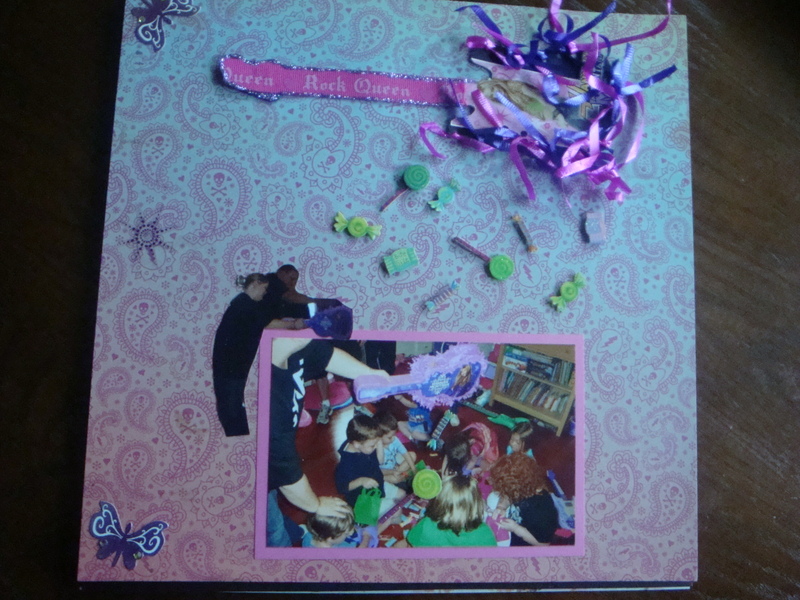 I used a lot of stickles (glitter glue just for crafts like these)! 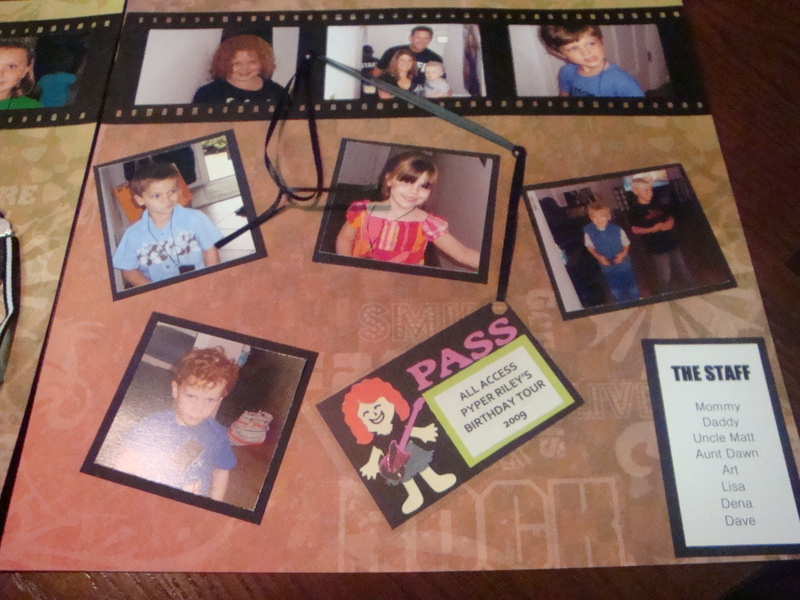 These things didn’t come that way I just couldn’t stop! 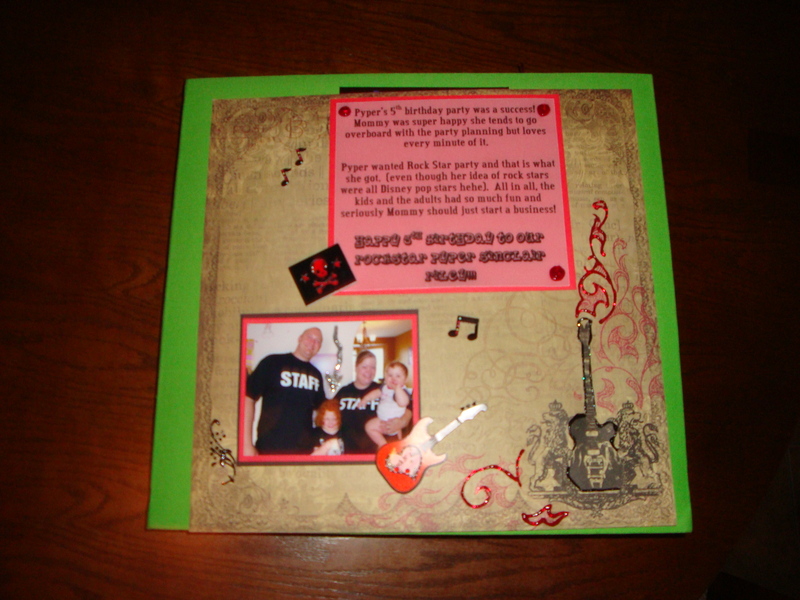 We ended with a page of all of us!~ There are lots more pages from this book , so much fun things to us we for a rock star…..hope you enjoyed these now keep on scrappin! 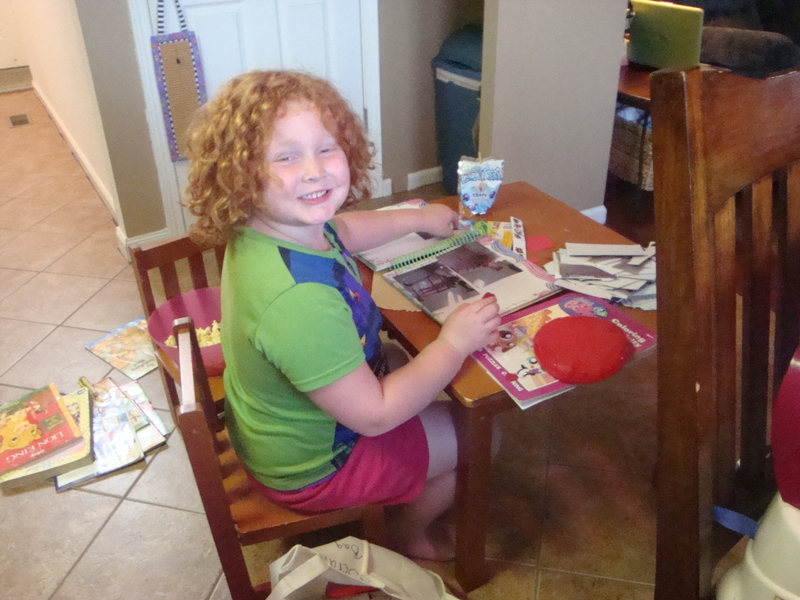 LOL thank you I would love to sit and do this all day it is so fun!